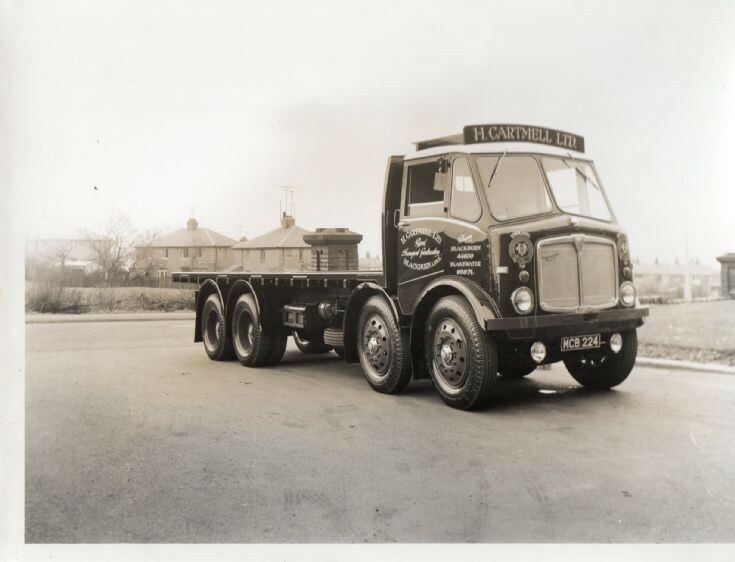 Harold Cartmells 1960 AEC Mark 3. Picture taken when new at Oswald Tillotsons Burnley Lancs. This truck had a 11.3 Engine 6 Speed Gearbox and 9-00 x 24 Tyres and Wheels. Added by Barbara Mitchell on 04 July 2017.